Fundraising Update...34 days & 27% Away! I've said it before and I'll say it again...we are in the middle of a miracle! First of all, the clarity of the call of God on our family has been so strong that it feels like our own miracle of grace in and of itself. We KNOW this is of God like we have never known anything before. He has called us into this season of ministry in Cape Town! But when we looked at the fundraising for this calling, it seemed so daunting and intimidating. 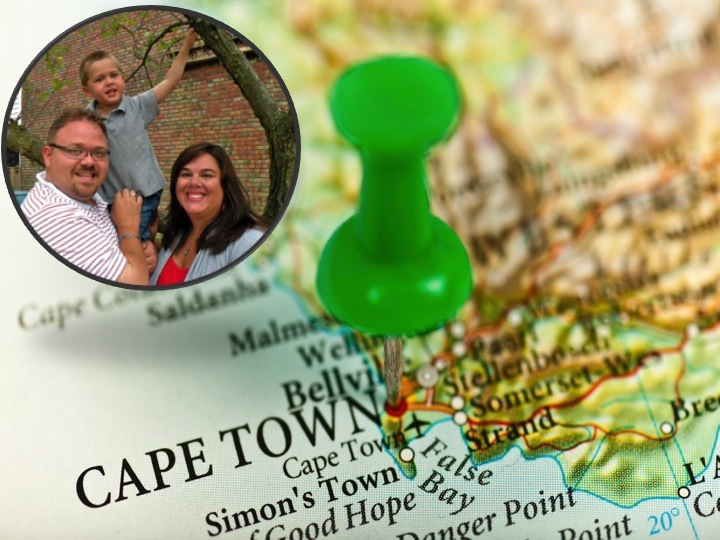 February 26th- God called us to leave our familiar land and move to Cape Town, South Africa. March through August- Easter Mennonite Missions (Our sending organization) Acceptance and Preparation Process including budget development and approval. May 2nd- We announced our calling to CCF, our home church. Click HERE to read the announcement. July 15th- We announced the formation of our Missions Support Team. Click HERE to read about that. September- We visited Cape Town on our way back from a trip to China. You can read some reflections from that trip HERE and HERE. October 17th- Our last day on Staff at CCF as Pastor. We felt so blessed by our sending. October 24th- We were at 30% of our budget raised. CLICK HERE for that update. November 15th- We were at 50%. CLICK HERE for that update. November 30th- We were at 63%. CLICK HERE for that update. TODAY....Thanks to THESE CHURCHES and Partners, we are at 73%!! Can you help us get the rest of the way? Will you walk with us this coming year? CLICK HERE to make a one time gift (tax deductible)! CLICK HERE to set up recurring or monthly contributions. Email me at noah.ccf@gmail.com with any questions about anything at all! We would love to hear from you. Please join with us in ministry!